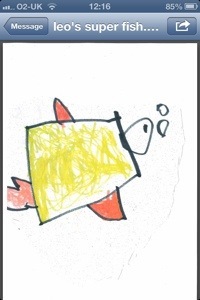 I LOVE this pic by young (4yrs old) illustrator and story maker Leo ( who I met last weekend). He was at an event I did for the lovely Chorleywood Bookshop! Brilliant drawing and a great super pet character Leo!